Unless you’re from Spain or Europe, you have probably never heard of AURYN before, but that’s going to change today! 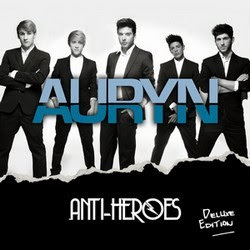 Formed in 2009, the 5 boys of AURYN have slowly made their way to the top of the Spanish charts and I thought now would be a good time to tell you all about them. 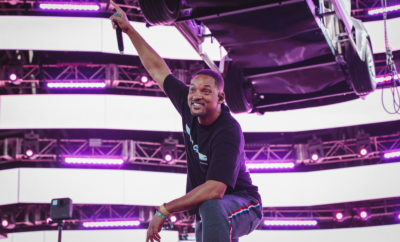 Indeed, the band, who stayed 32 weeks in the Spanish charts with their debut album, Endless Road, 7058, just released in March 2013 their very anticipated second album entitled Anti-Heroes which debuted #1 on iTunes and has already gone platinum. Though Carlos Marco (22), Álvaro Gango (24), Dani Fernández (22), David Lafuente (22) & Blas Cantó (25) -pictured above from left to right- were not unknown from TV screens, getting signed by Warner Music wasn’t an easy road for them. Throughout the years, Spain was able to spot Blas on Veo, Veo(2002), Dani on the Junior Eurovision Song Contest (2006), Carlos on Factor X (2008) or even David on different musical TV competitions. But it’s only after being put into a band that the boys started gaining great popularity. The band started posting a few covers on YouTube and quickly developed a fanbase of loyal fans. 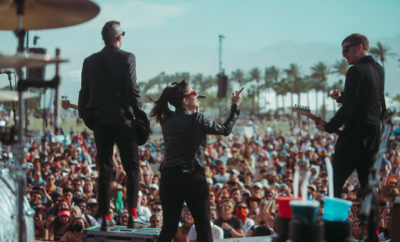 Their fanbase notably increased in 2011, after the band made it to the finale of Destino Eurovisión, the selection process to represent Spain in Europe’s largest Song Contest, the Eurovision.Following their success, the band released their first album independently, before being spotted and signed by Warner Music and releasing their second album. If you take a listen at their latest album, available on their YouTube channel, you’ll notice the guys tackled quite a wide range of genres. From songs in English to songs in Spanish, from ballads to upbeat songs, from pop to electro, no matter which genre you prefer, there will be at least one song you’ll fall in love with on the album (mine is Away, but then again, i really love ballads). Check out AURYN’s latest music video (and full album) below and make sure to let us know what you think. ← Previous Story Melanie Martinez Interview: Tour, New Music, NY Fashion Week, and The Voice!